Nintendo's upcoming home console, the Wii U, has a killer app. It's not necessarily the feature you'd first figure as the machine's most intriguing element. But it is what could help push the machine past rivals with the help of some cute monsters. The Wii U is outfitted with NFC (near field communication) that will allow gamers to "scan" in toys and cards. This spring, Ubisoft showed how it might use the tech as did Nintendo earlier today. Nintendo has big video game characters, which will no doubt find their way into NFC Wii U toys. 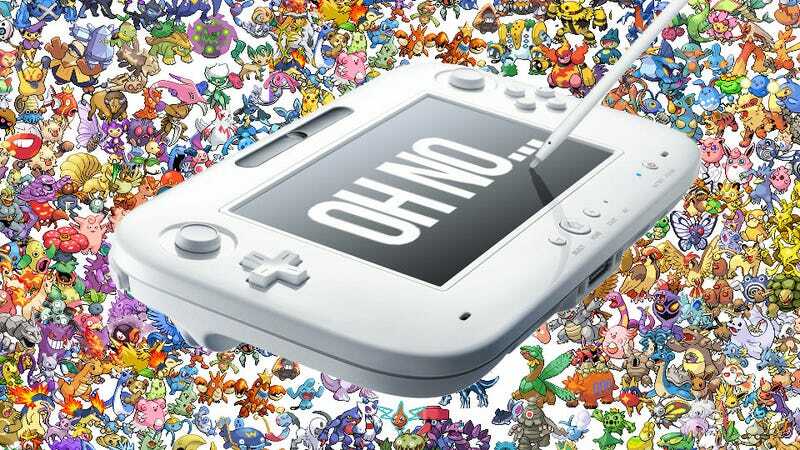 But forget Mario or Zelda, the biggest Wii U cash cow is perhaps Pokémon. Skylanders is proof positive that there is mass appeal for NFC toys in video games. If Pokémon does take a page from Skylanders (and Nintendo is stupid not to), there is an endless array of Pocket Monster NFC toys just waiting to overrun your local toy store. There's already an array of Pokémon collectible figurines (especially in Japan), and it's now just a matter of Nintendo deciding to chip said toys (and release new ones, too!) so that they are compatible with the Wii U. There is a precedent for chipped Pocket Monster gaming accessories. The kiddy arcade game Pokémon Battrio uses chipped plastic pucks as pieces that are scanned in and then moved around on a NFC matt. Those scanned pucks and their movements correspond in game. The Wii U's NFC reader can scan in figures or cards. Since Nintendo was originally card marker, the company will no doubt fire up its card printing presses. While other game companies focus on owning digital items, Skylanders has shown that people want to own physical objects. Owning virtual items is not the same as something you can hold in your hand and put on your shelf. Who better than Nintendo to drive that point home? This is exactly why NFC toys look to be the Wii U's killer app—more so than the tablet Wii U GamePad or even the console's high-powered graphics. Chipped Pokémon cards and figurines that interact with the newest Wii U Pocket Monster game could grab the attentions of those who are keen to, wait for it, catch 'em all.